Become a member to play a vital part in DanceSyndrome's work! Our Standard Membership costs just £20 per year. 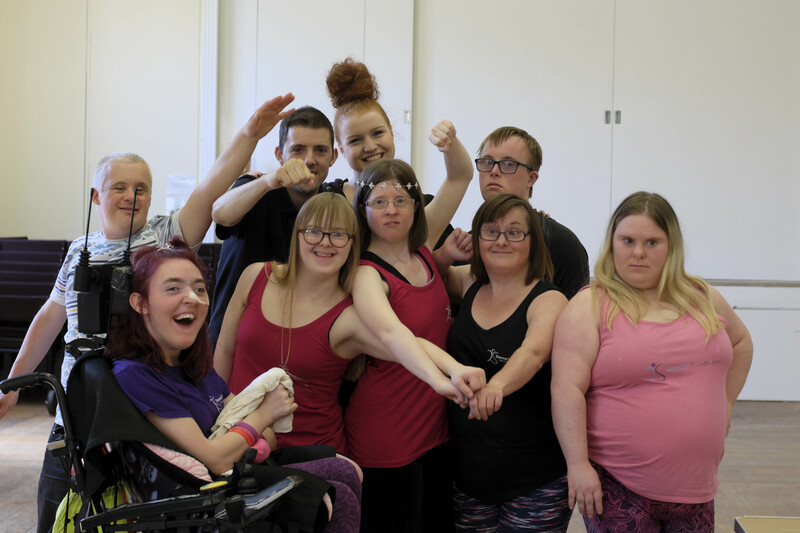 Your donation helps us to provide unique opportunities for people who might otherwise face barriers to participating in activities, performing to diverse audiences and taking leadership roles. But membership is so much more than just donating. As a member you will be invited to play a part in influencing our work and our future direction - you will be able to change lives! For us to be able to stay in touch with you about your membership, we need you to give us consent to email you. This is a legal requirement in line with European regulations and if you do not consent, we cannot contact you. We will only email you about opportunities related to your membership, along with our newsletter every 3 months. If you would prefer to donate without giving consent for us to contact you, you an do this on the fundraising page of our website. Yes, reclaim Gift Aid on all my donations so that each £1 is worth an extra 25p to DanceSyndrome. I confirm I have paid or will pay an amount of Income Tax and/or Capital Gains Tax for each tax year (6 April to 5 April) that is at least equal to the amount of tax that all the charities or Community Amateur Sports Clubs (CASCs) that I donate to will reclaim on my gifts for that tax year. I understand that if I pay less income tax in the current tax year than the amount of Gift Aid claimed on all of my donations it is my responsibility to pay any difference. I understand that other taxes such as VAT and Council Tax do not qualify. I understand the charity will reclaim 25p of tax on every £1 that I give or have given in the last four tax years.